You can't fire a gun without a bullet. Since their invention in the tenth century, engineers, soldiers and tinkerers have constantly tried to make firearms more deadly. Typically that involves moving to heavier bullets driven by more powerful gunpowders, and while that is effective it is also louder, generates more recoil and necessitates new firearms. One solution is the creation of newer, deadlier ammunition for existing guns. Dum Dum bullets were developed for use by British and colonial forces on India’s Northwest Frontier in the 1890s. The infamous bullet design was created by the Dum Dum Arsenal, located just outside Calcutta. Dum dums consist of an ordinary copper jacketed lead bullet with the lead exposed at the nose, usually through a deep x-shaped cut in the nose. The theory is that upon impact, the lead slug expands and mushrooms to a much wider diameter than the bullet itself. The mushrooming also generates sharp points that cause grievous wounds passing through human flesh. The 1899 Hague Declaration concerning Expanding Bullets was an attempt to ban dum dum–type bullets for use in military conflicts on the grounds they caused especially severe wounds. The declaration language targets “bullets with a hard envelope which does not entirely cover the core or is pierced with incisions.” One informal test determined that dum dums were “probably” more lethal but not as lethal as modern jacketed hollow points. Dum dum bullets were reportedly used by the People’s Liberation Army’s 27th Army against civilians during the 1989 Tiananmen Square massacre. An evolution of the dum dum bullet, jacketed hollow points are copper-jacketed bullets with a hollow opening at the tip revealing the lead core. Upon contact with the target, the tip of the bullet blossoms into hydra-shaped object much larger than the original bullet, creating much larger wounds than nonhollow point bullets. In addition to expansion, some hollow points are also designed to fragment, causing multiple wound channels and even greater physical harm. Jacketed hollow points are considerably more lethal than regular bullet ammunition. While hollow points have never caught on with regular military forces they are quite common in the self-defense market. Some hollow point rounds—such as Hornady Critical Defense ammunition—have a polymer dot in the center of the opening to aggressively drive bullet expansion. During the late 1960s a small group of weapons engineers developed the 13mm gyrojet round, a large rocket powered bullet. A very large round over half-an-inch wide and an inch-and-a-quarter long, the Gyrojet round had a primer that ignited four canted rocket boosters, sending the entire projectile downrange at the target. The round weighed 25 percent more than a 7.62x51 rifle round and had a top speed of 1,250 feet per second. Unlike traditional firearm cartridges, which leave the muzzle at maximum speed and gradually lose velocity, the Gyrojet rocket left the muzzle at a very slow speed and took approximately fifteen feet to reach maximum velocity. The Gyrojet pistol was reported tested by the U.S. Army’s Military Assistance Command Vietnam—Studies and Observation Group (MACV-SOG) but was not widely adopted. During the Vietnam War the U.S. Military issued 90 and 105mm antipersonnel rounds packed with tiny darts to tank and tank destroyer crews. Upon firing, the so-called “flechette” rounds would send a high speed cloud of deadly darts downrange. Flechette rounds were particularly useful against human wave attacks, although they do cause higher than normal wear and tear on barrels. The Special Purpose Individual Weapon (SPIW) program of the mid-1960s saw the flechette round brought down to the individual soldier level with the testing of the M19 experimental rifle and the XM645 flechette round. The XM645 was a .070 inch steel needle bedded in a fiberglass sabot, much like a modern kinetic energy anti-tank round. The flechette was fin-stabilized, making it highly accurate. It also tended to bend into a u-shape when striking human flesh, causing large and often lethal wounds. The program was shelved due to the difficulty in making the flechette at an affordable cost. 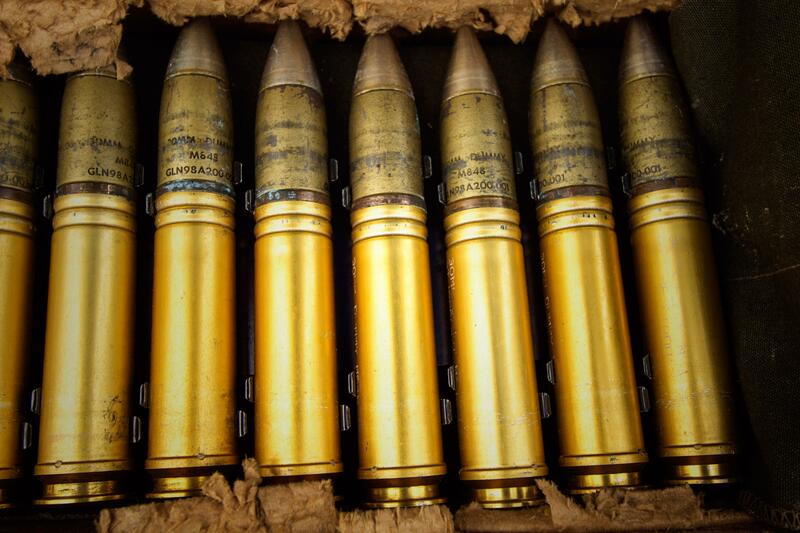 Unlike specialized ammunition types, +P ammunition is simply regular ammunition made more deadly by increasing chamber pressure. Normally, bullets are sent flying out of the barrel of a gun by the burning of gunpowder. The gunpowder burn rapidly builds up pressure inside the firearm, sending the bullet out of the barrel at hundreds if not thousands of feet per second. A normal 9mm firearm will typically have a maximum chamber pressure of 35,000 pounds per square inch (psi). By using stronger, more powerful gunpowders +P ammunition increase chamber pressure for a 9mm firearm to up to 38,500 psi—a 10 percent increase. This increases the bullet’s velocity and the ability to incapacitate the target. The downside is that not all firearms are engineered to withstand repeated use of very high pressure ammunition, and +P ammunition can lead to increased wear and tear. Kyle Mizokami is a writer based in San Francisco who has appeared in The Diplomat, Foreign Policy, War is Boring and The Daily Beast. In 2009 he cofounded the defense and security blog Japan Security Watch. You can follow him on Twitter: @KyleMizokami.